Visit Manor College Today - Take a Tour of Campus and Spend the day as a Blue Jay! See for yourself why you belong here. During your visit, we can tell you more about how Manor College offers a uniquely welcoming college experience that’s singularly focused on the stellar achievement of each and every student. How our exceptional faculty will push you to reach higher academically. How our remarkable student-to-teacher ratio makes it possible for our instructors to always go beyond what’s expected to ensure your success at every turn. 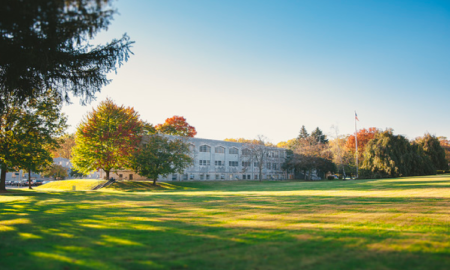 How easy it is to get to our stunning campus from Philadelphia and surrounding counties. How at home you will feel here. Come meet with our professors who everyone knows by first name. Marvel at our hands-on laboratories, smart-technology classrooms, and welcoming residence hall. 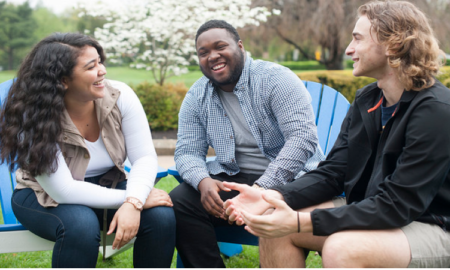 Meet with student ambassadors and other current students to get their authentic perspectives. And if that’s not enough, read the latest blogs on Jay Talk (real students sharing real experiences at Manor College). Hear from alumni who have gone on to successful careers in an incredibly wide range of industries and professions. Cheer on the Blue Jays of our soccer, basketball, and volleyball teams. Don’t miss a tour of our Ukrainian Heritage Studies Center and get transported to the fourth-century beginnings of our Basilian tradition. Take in our scenic 35 acres, which include pastures for our horses, or take a walk through Alverthorpe Park. Do any of these things, and we guarantee you’ll start to see why you belong here.